Women and Girls Lead – Bangladesh was honored to host US Ambassador Marcia Stephens Bloom Bernicat and Angela Aggeler, Counselor for Public Affairs at a December 7th film screening held to commemorate 16 Days of Activism Against Gender-Based Violence. 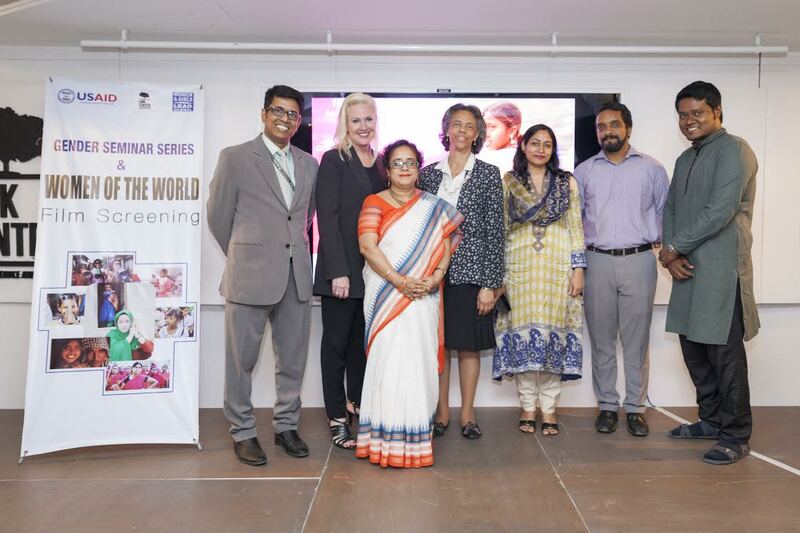 The event was the last in a series of 2015 screenings and panel discussions that Women and Girls Lead coordinated in partnership with USAID Bangladesh and EMK Center. The journey began almost exactly a year ago with the launch of the “Gender Seminar and Women of the World Film Screening Series” in celebration of International Human Rights Day. Each of the five events featured a Women of the World film that centered around girls and women overcoming adversity, followed by a panel discussion. The events drew 300 students from public and private universities who gathered to discuss the most pressing gender issues in the country. “It is the young who have immense power to influence change,” said US Ambassador Bernicat, in addressing an audience of university students, government officials and gender experts. She praised the youth of Bangladesh for their successful protest of the sexual assault incident that occurred on the premises of Dhaka University on the 14th of April, in which girls and women were molested while celebrating Bangla New Years Eve. After the closing ceremony audiences were invited to tour a photo exhibit curated by photographer Mahmood Hussain Mehedi, focusing on the prevention of child marriage through girls’ education. 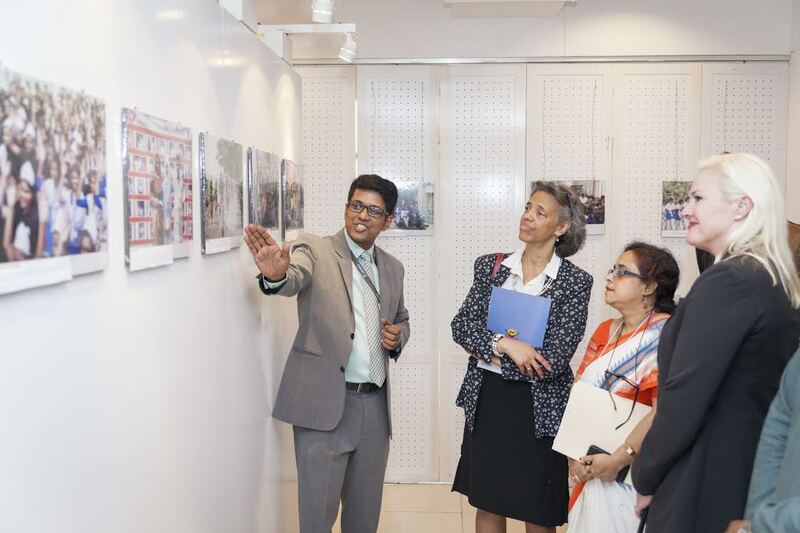 The exhibit featured photos of students and schools engaged in WGLG’s Best School for Girls campaign, which challenges schools throughout Bangladesh to take action to become more girl-friendly.